Good evening, today’s post is a very quick one as I need to get to bed. I have a big day tomorrow as I’m heading to Hamilton for a few days, but I really wanted to show you one of my Valentines cards I have been working on. 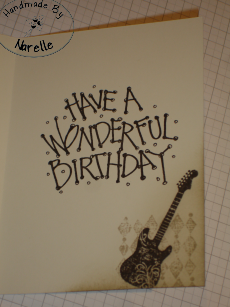 I did kind of case a card, but completely made it my own, I am sorry I have no idea who’s card it was. 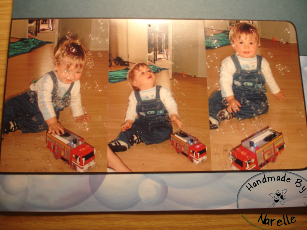 Here is my card and please let me know what you think, I know it has the approval of my husband for a fantastic masculine card. 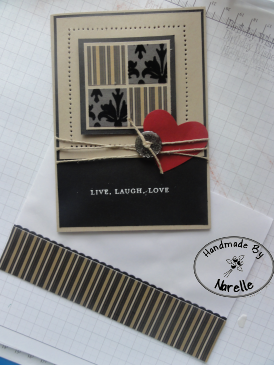 and with the envelope, I always decorate my envelope to match the inside of my card. Have a great week and I’ll be back with more Valentines day cards soon. Good morning, it’s a beautiful day today although it’s cold the sun is shinning so it can only get warmer as the day goes on. 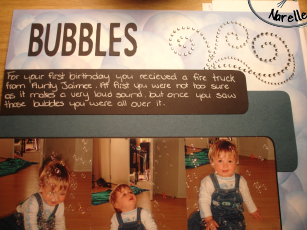 The other week I had a good friend come over and we had an evening of scrapbooking. I made 5 pages which is a record for me to make in one day. Although I did cheat a little, we always have a sketch challenge that I choose, but we both really liked it so I made three pages using the same layout, but different colours and embellishments, these will also go into different scrapbooks so it doesn’t matter. Good morning, I hope everyone had a great Easter and like me ate far too much chocolate. Today is ANZAC day here in new Zealand, although I don’t have family (that I know of) who died in the war, I do have a lot of friends who do, so my heart goes to them today as we remember the lives lost. 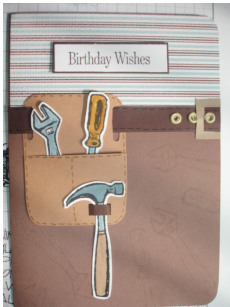 For todays card I have a masculine card I made for my father earlier this month, my mum got him a tool box for his birthday so the card really suited the occasion. 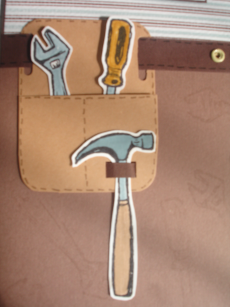 The tools have been stamped in staz on then coloured in using the markers. 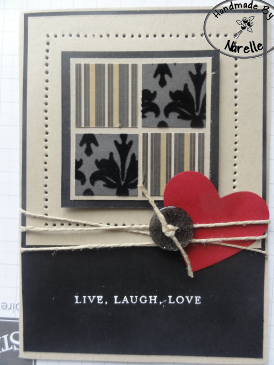 On the lower part of the card I have used Versa Mark to stamp the tools on the card stock. The belt is card stock and I have used a marker to put stitching across the top and bottom, the notches in the belt are eyelets. sorry I forgot to get a photo before I wrote in it. 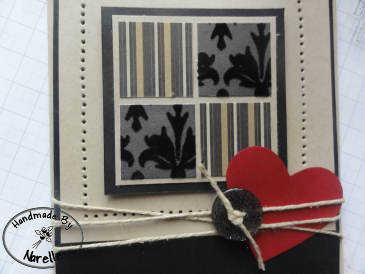 Good afternoon, it’s a cold and very windy day outside today so what else could I do but make a card, and perfect timing as I was running out of time to make this weeks Try Stampin on Tuesday challenge. I have two sick family members in bed and fast asleep so I managed to get a few hours to create. 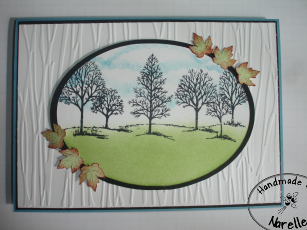 I thought my card suited the day outside perfectly, its Autumn here in New Zealand so all the leaves are starting to fall off the trees, which my daughter loves, her bag is often filled with them when she comes home from day-care. 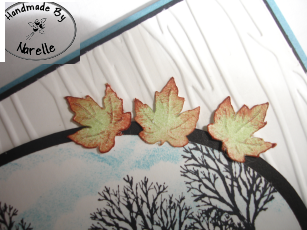 for the leaves I have used Whisper White Cardstock then sponged in Pear Pizzazz and then very carefully lightly sponged in Cajun Craze around the edges to give the changing colour effect you get in Autumn. 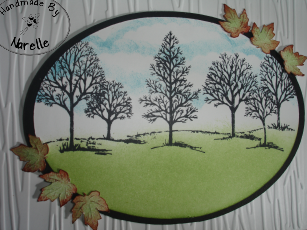 For the sky I have used scallop ovals and a sponged around them to create the clouds. 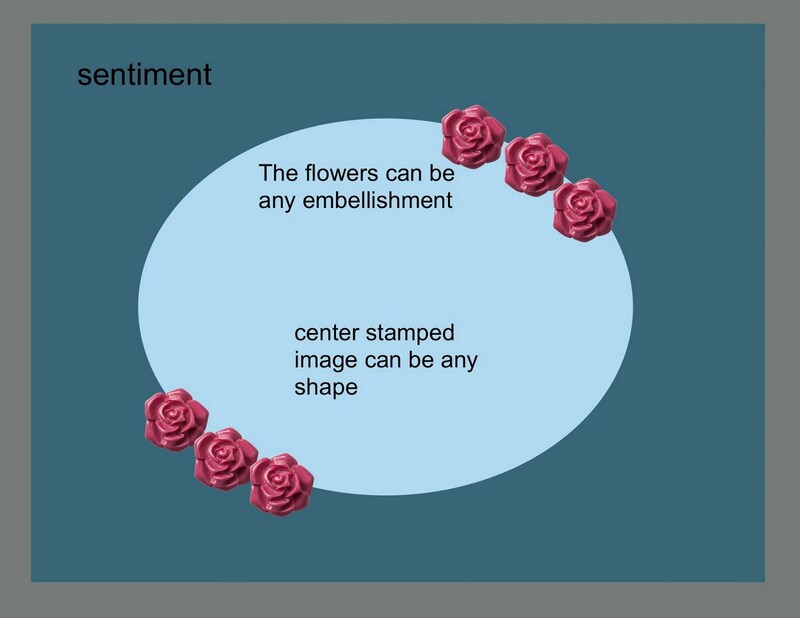 The grass is also sponged on. 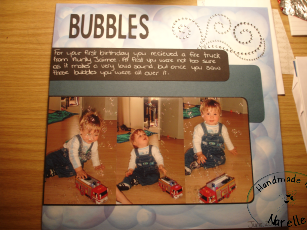 In the weekend I had a very good friend of mine over and we scrapbooked, I did a record 5 pages, One double layout and three singles, check back for those later in the week. 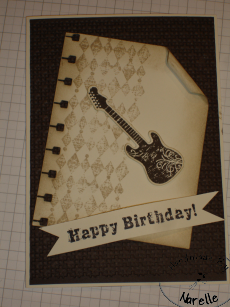 Last night my husband asked me to make a birthday card for his brother, since he is having such success with his music I thought I would make him a card rather than getting one out of my already made stash. Dave has done really well with his latest song being selected for the TV2 ad theme song and also on the charts his song “Love, Love, Love” is also doing really well. Wow what a fantastic weekend, My sister Sharna came up from Hamilton to look after my two children so hubby and I could go and have a weekend away. I organised this over the last couple of months as a surprise to Nick for his birthday last week. When I picked him up from work on Friday he was surprised that the kids were not in the car with me, I then took him to his favourite restaurant in the city, after we went to a hotel, (which he expected to go home) the next day we went on a three hour cruise on the Waipa Delta that served up a lovely 4 course dinner, and stayed in the hotel another night. Thank you so much Sharna it was lovely to have some quality adult time and no time restrictions to hurry back to. Here is a card I promised to put up on Friday but the day just got away. 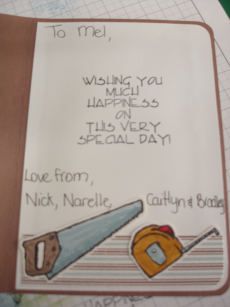 I made this for Nick for fathers day, he calls it his favourite card so far. 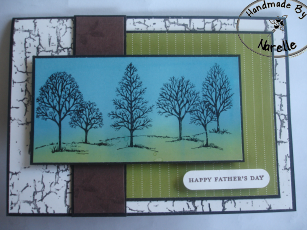 I have brayered the top piece with Old Olive and Tempting Turquoise on glossy cardstock and placed it on dimensionals. The rest is layered but all pieces are framed. The chocolate chip strip is stamped using VersaMark. Have a great day, tomorrow I will try and post the card I have made for this weeks Mojo Moday, but after the trouble I have had today trying to upload this post may make it very hard.